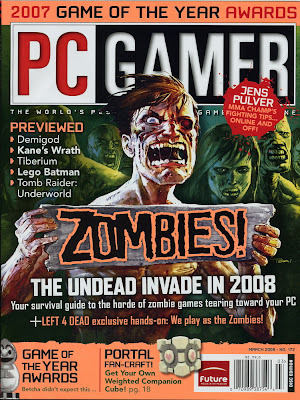 I was recently commissioned to provide a cover for PCGamer magazine, for a feature on zombie-related video games. Here's a scan of the cover, along with the artwork as I delivered it. Zombies are ALWAYS fun to draw and paint! Excellent Dude! I think the PC Gamer A.D. could have been a little less heavy handed with the color mods though... I mean, sheesh. Your colors are mucho mas mejor. Yeah, I like the art the way you delivered it! it looks like they went a little crazy with the saturation and contrast. Nevertheless, Nice piece! so awsome man. Its funny cause I seen this at boarders books a few days ago and picked it up looking at the cover art. Then I visith your blog and see its your piece. Nice work sir. Killer piece! Congrats on the cover. nice man!!! 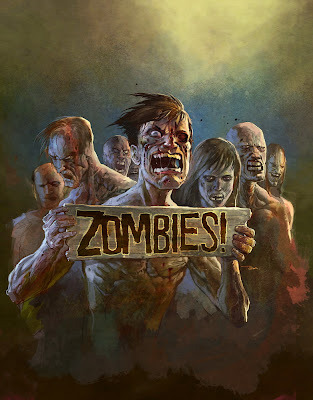 Gotta love zombies!!! I saw this one and it caught my eye on the shelves ! thanks guys! yeah it did change a lot going from the art I handed in to the version that eventually saw print.